Nice lightweight case with a hard structure for added protection. The Rosetti cases also have neat padded back straps that zip out from the back compartment. Fits most Tenors. Space inside for crook and mouthpiece, pocket on the side has space for extra accessories. 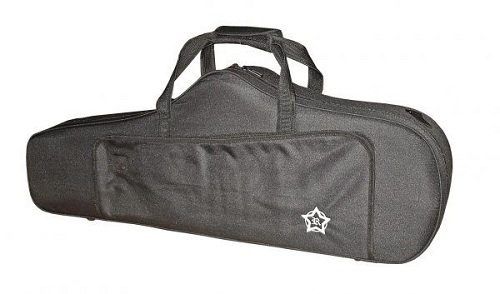 These lightweight Rosetti cases are not much heavier than a soft gig bag but offer way more protection due to the hard shell exterior. Ideal for modern Saxes and for players wanting something as light as possible that they can carry over one shoulder or both. If you have a specific query about the fit of this case to your Saxophone please contact us prior to purchase and if possible we will advise on suitability.